I’m writing this in the pub, on my phone, with a hangover. So please excuse any mistakes. I just can’t face proof reading. Or to put any effort in at all really. I made focaccia this morning because I am a copycat and saw that simoneats on Twitter was making some. Seriously, I can’t remember the last time I bothered to have an original idea of my own. 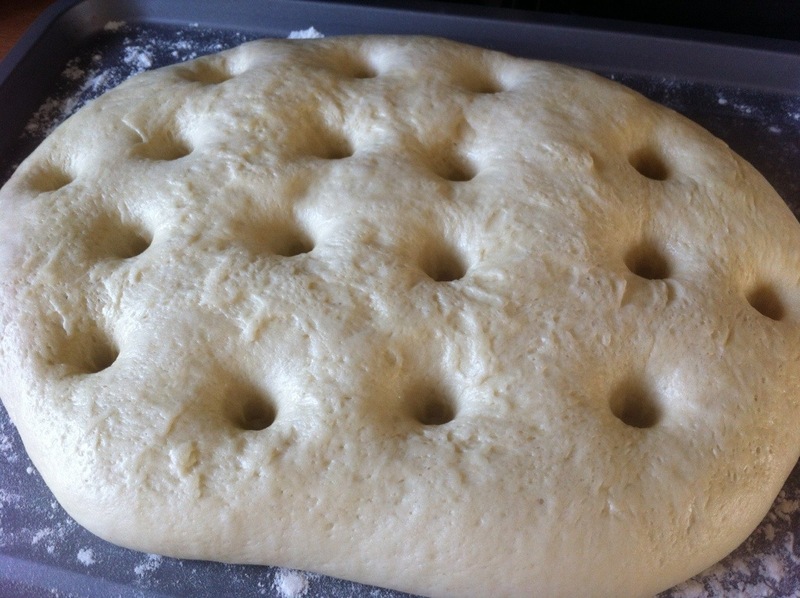 Shove your flour into a big bowl, sprinkle the yeast around the outside and the salt in the middle. I was told to do this once as salt kills yeast but I have no idea if it’s true. I like to stay on the safe side. Chuck in the olive oil and add the water, bit by bit, mixing it up with your hands. The dough gets very, very wet but the more water you can get in there the better. It may seem like you’ve wrecked it but just keep working the dough – pick it up and slap it back into the bowl a bit. It’ll soon fix itself. That trick works with most stuff too, just so you know. Worship at my feet later, I feel too sick at the moment. Fun part: knead for ten minutes minimum. 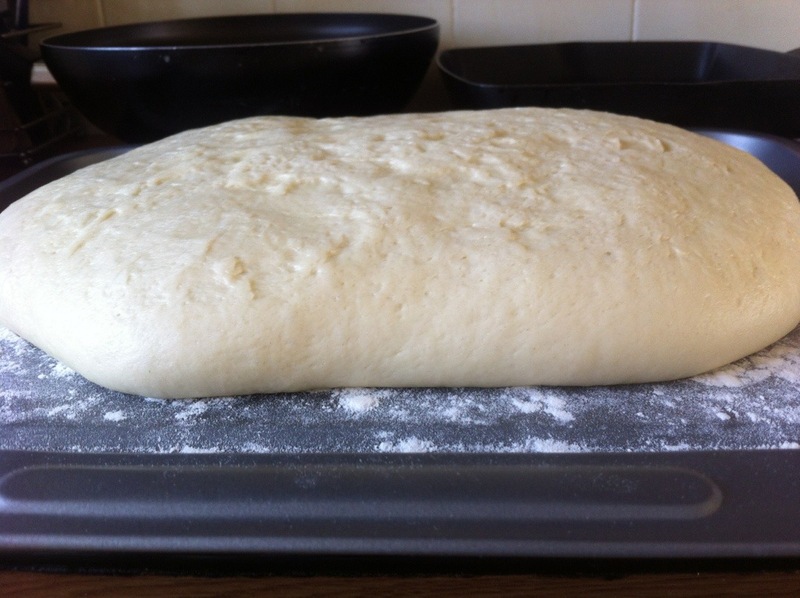 Once you can stick your finger a couple of centimetres into the dough and it springs back it’s done. You don’t need to flour a work surface to knead this, and you want to avoid adding any extra flour. If you knead it enough it won’t stick anyway. 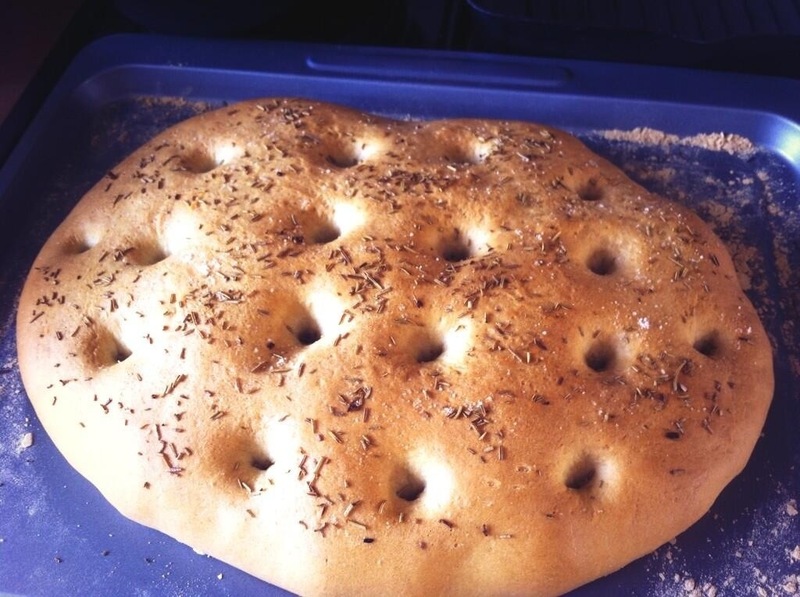 Stick the oven on to 200°c and flour a large baking tray. 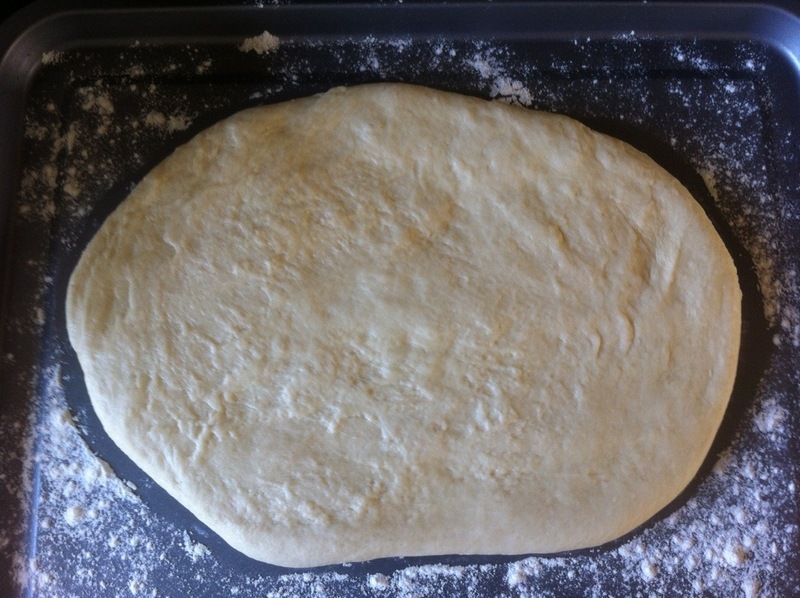 Roll or press the dough out to around an inch thick, very lightly oil an cover with clingfilm, making sure it’s airtight. Annoyingly you now need to leave it for around an hour and a half/two hours for it to rise and double in size. Even more fun part: once your dough has proved take the clingfilm off and at even intervals push your finger into the dough. It feels amazing. I’d happily sleep in it. 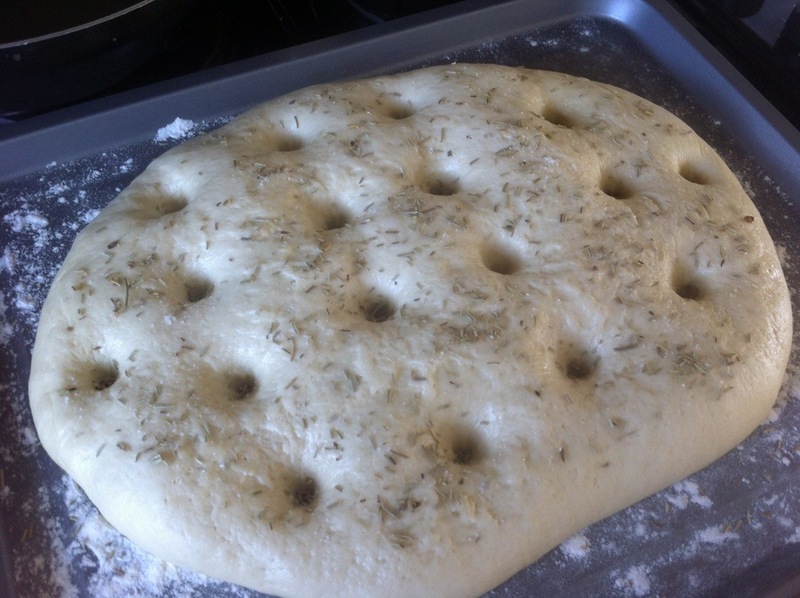 If using fresh rosemary prop a little sprig in each hole, otherwise sprinkle a pretty decent amount of dried rosemary over the dough. Do the same with a big pinch of sea salt. Stick in the oven for half an hour until golden and sounds hollow when tapped. Mine probably could have stayed in for a bit longer. Feed it with extra virgin olive oil while still warm.